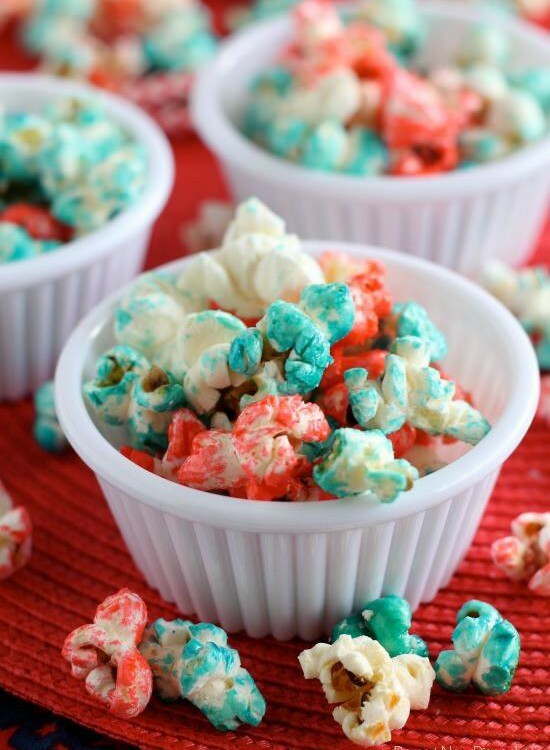 Make your 4th of July POP with this fun and healthy Manuka Honey Popcorn the entire family will love! In a 5qt pot that has a lid, heat the oil on medium-high heat until hot. Add the Manuka Honey, food coloring, and popcorn kernels. give it a quick stir with a silicone spatula or wooden spoon and place the lid on the pot. wait until the kernels start to pop and then, using hot pads, shake the pot vigorously, back and forth, until most of the kernels are popped. Remove kettle corn from heat, and pour the popcorn into a large heat-proof bowl. Add Pacific Sea Salt (while it’s still hot) until desired saltiness. Wash out the pot, dry it well, and repeat the process for the other colors. Previous Only the highest quality!